Home / Eco-Yards Products / Eco-yards™: Simple Steps to earth-friendly landscapes. Eco-yards™: Simple Steps to earth-friendly landscapes. 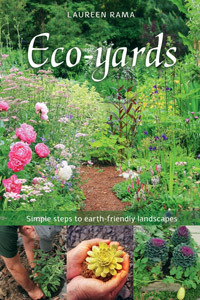 The Book: Eco-yards™: Simple Steps to earth-friendly landscapes. Visionary, hopeful and encouraging, Eco-yards™ is a must-read for anyone who wants to use environmentally sound practices when they garden, whether in a residential yard or on the balcony of a condo or high-rise apartment. If you’re sick of the backyard battle, this book will show you how to work with nature instead of fighting it, using simple steps that apply practically anywhere to turn your yard into an eco-friendly sanctuary. Eco-yards™ supports the vision of a healthy, abundant planet in which beautiful, richly varied urban yards contribute to restoring the natural ecosystem. 6 reviews for Eco-yards™: Simple Steps to earth-friendly landscapes. Laureen Rama has produced one of the finest books I have seen on how to garden in ways that restore the health of the soil and invite nature back into the landscapes where we live. Well-organized, thorough, entertaining, and packed with pertinent information, delightful stories, vivid photos, and instructive illustrations, Eco-yards™ is an instruction manual on how to return to garden and to the sensuous earth itself, where we have always belonged. Laureen’s chapter on soil life alone makes this book worth owning. If you have a square foot of soil where you can grow things, read this book and you will find yourself tending it with new care and spirit. Eco-Yards proposes a partnership approach with the garden and inspires homeowners to build peaceful, practical yards. Rama is a hands-on gardener who explains – in great detail- everything from building soil to creating sustainable landscapes. Read about it here and then get out and practice what Rama preaches. 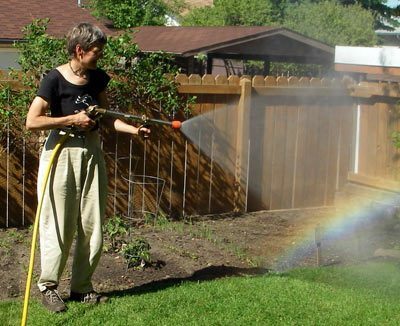 Are you among the increasing number of homeowners who are seeking alternatives to conventional lawncare practices? Here is your answer! Eco-yards™ is a gentle, practical and inspiring guide to help you transform your yard into a diverse, healthy and sustainable landscape. — Myrna Pearman, co-author, NatureScape Alberta: Creating and caring for wildlife habitat at home. 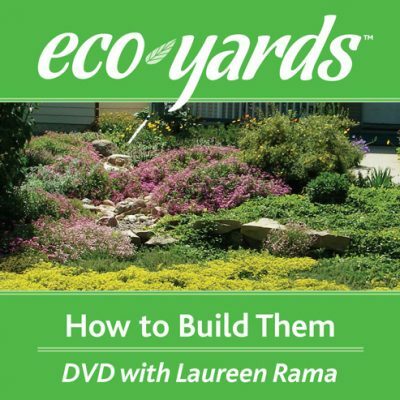 Written by an experienced landscaper designer, “Ecoyards” translates all the design “stuff” into terms you can understand and act upon, and then shows you how to make your yard beautiful, the earth-friendly way. 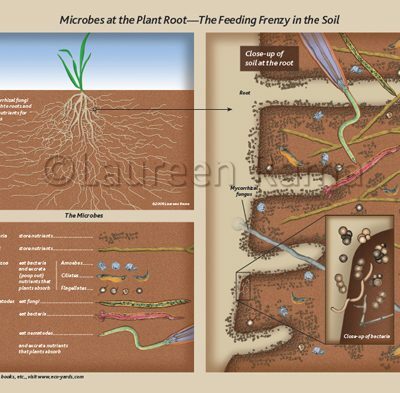 — Jeff Loewenfels, co-author of Teaming with Microbes: A Gardener’s Guide to the Soil Food Web.